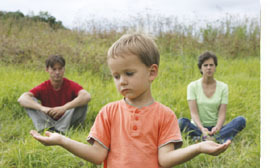 Unplanned divorce settlements can leave individuals with no hope of future financial security. Yet, if these individuals could look into the future and see the long-term effects of the final settlement, their chances of having a bright financial future could be dramatically improved! Our specialized software enables individuals to visualize the future results of any settlement scenario. This step often leads to expedient, rational settlements between the spouses rather than lengthy and expensive court trials that promote anger, bitterness, and upheaval for the children. This Case Study will show you how our services can lead to a more equitable financial settlement. Tom and Nicole are ages 51 and 47 respectively. They have been married for 26 years. Tom is a computer consultant and makes $120,000 annually. Rather than pursue her interest in nursing, Tom and Nicole had decided that she should to devote her time and attention to their only child, who is now 23 years old and married. Although Nicole does not have career skills and experience, she is very active in the community and feels that she could work part-time and earn $25,000 annually. She would like to stay in their home and continue to devote more time to the Community. Nicole will own the house ($100,000 equity) and $60,000 of cash savings. Tom will get the remaining $160,000 thus dividing the assets equally. Tom will pay alimony of $6,000 per year for five years. The chart below shows the consequences of Tom’s offer. Within 6 years, Nicole’s assets are declining (even her home equity) and, in fact, she will face a severe cash shortage. Tom’s net worth continues to climb. Using our sophisticated Divorce Planning Software and an in-depth analysis of the income tax and financial implications of the assets to be divided, we can present a more equitable financial scenario in which both parties will prosper. This solution shows how a change in alimony along with an adjustment in the distribution of assets can produce a more favorable financial result for both Nicole and Tom! The divorce process is challenging; however, with the right help there are ways to reduce the negative financial impact so you can start your new life with security and confidence. Email or call John Faggio today at (410) 988-7333 and get the advice you need to obtain a more equitable solution.